Soul Asylum is an american alternative rock band formed in the summer of 1981 by Minneapolis high school friends Dan Murphy, Karl Mueller, and Dave Pirner. The band (named Loud Fast Rules up until 1984) quickly became frontrunners of American college rock, following in the tradition of fellow Minnesota bands H&uuml;sker D&uuml; and The Replacements. 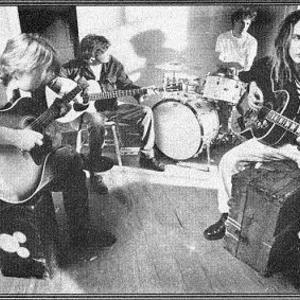 Landing their first record deal with Twin/Tone in 1984, Soul Asylum recorded a total of four albums for the local label: Say What You Will... Everything Can Happen in 1984 (later reissued as Say What You Will, Clarence. Landing their first record deal with Twin/Tone in 1984, Soul Asylum recorded a total of four albums for the local label: Say What You Will... Everything Can Happen in 1984 (later reissued as Say What You Will, Clarence... Karl Sold the Truck), Made to Be Broken in 1986, While You Were Out in 1986, and the EP Clam Dip And Other Delights in 1988. The band then switched to A&M, releasing Hang Time in 1988 and And The Horse They Rode In On in 1990 under that label. Although they enjoyed some success as a live band, Soul Asylum suffered from low album sales and considered disbanding. In 1992, they signed with Columbia Records to produce Grave Dancers Union, a record that would come to transform them from underground college rockers to international superstars. The first two singles off the album, Somebody To Shove and Black Gold, both came in at high positions at the Modern Rock and Album Rock charts, but it was the album's third track and it's video of missing teens that led them to their major breakthrough. Runaway Train peaked at #5 on the Billboard Hot 100, raised album sales to double-platinum level, and won Soul Asylum the Grammy Award for Best Rock Song in 1994. In 1995, Soul Asylum followed up the success of Grave Dancers Union with Let Your Dim Light Shine, which climbed to #6 on the Billboard 200 and featured the #1 Modern Rock track Misery. After releasing Candy From A Stranger in 1998, the band members took a break from recording and didn't release a new studio album for the better part of seven years. During the interim singer Dave Pirner released a solo album and Dan Murphy toured and recorded with Golden Smog. They reunited in 2004 to record their ninth full-length album, The Silver Lining, brought together by the news of Mueller being diagnosed with throat cancer. Up until this point, Soul Asylum had always included Murphy, Mueller, and Pirner, despite several line-up changes. This changed on June 17th, 2005, when Mueller passed away after finishing his work on several tracks on the new album. The Silver Lining was released in 2006 and dedicated to Karl Mueller's life and memory, with Murphy expressing that, "For me, this record is Karl." In late 2005, ex-Replacements bassist (and current Guns N' Roses bassist) Tommy Stinson and former Prince drummer Michael Bland joined Soul Asylum in tribute to the late Karl Mueller. They completed their American tour in support of The Silver Lining in late 2006. In November and December 2006 they opened for Cheap Trick on their American tour. On March 10th, 2007, Soul Asylum joined Cyndi Lauper, Mint Condition, and Lifehouse to hold a concert to benefit Wain McFarlane, the leader of the legendary reggae band Ipso Facto, to help pay for the expenses of a kidney transplant.